Mack Hauling offers trash hauling, rubbish removal, junk removal, furniture removal, appliance removal, property clean up, junk pick up and junk hauling in the McLean and Tysons Corner VA area. Ready to serve residents and businesses in Mclean and Tysons Corner Virginia in zip codes including 22101 and 22102. We are regularly in areas such as Langley, Ingleside, West Langley, Fort Marcy Park, Arlingwood, Old Glebe, Westbriar, Camp Greenway, near Scott’s Run Nature Preserve, Odricks Corner, Rockwood Manor, and surrounding areas. Hotels needing junk removal should give us a call including: Staybridge Suites, Hilton McLean, Crowne Plaza Tysons Corner, Hilton Garden Inn Tysons, The Westin, Embassy Suites, The Ritz Carlton, Courtyard Tysons, Quality Inn and all others. 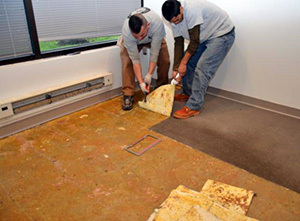 Apartment management companies in need of prior tenant clean out should call us. Including Vita, The Reserve, Ovation at Park Crest, Avalon, The Ascent, Avalon Park Crest, Post Tysons Corner, Eaves Tysons Corner, Crestwood Heights, The Lofts at Park Crest, Dolley Madision APts., Nouvelle Apts., and The Rotunda. We travel regularly down roads including Route 7, Old Courthouse Rd, Westwood Dr., Wolftrap Road, Woodford Rd, Old Courthouse Rd., Interstate Route 495, Gallows Road, Westpark Drive, International Drive, Jones Branch Dr., along the Dulles Toll Rd., Idylwood Rd., New London Dr., Old Dominion Dr., Dead Run Dr., Balls Hill Rd., Georgetown Pike, Kirby Road, Greensboro Drive, Springhill Road, Spring Gate Dr., Westwind Way, Lincoln Way, Old Meadow Rd., and throughout the area.